The 2019 Toyota RAV4 Hybrid was the last missing piece to the new-generation Toyota RAV4 puzzle unveiled last year and introduced to the market earlier this year. 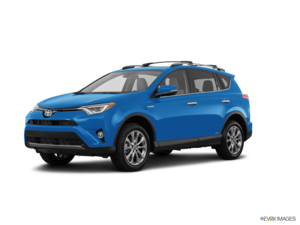 With the new Hybrid version, we get everything the normal Toyota RAV4 does very well along with an efficient hybrid powertrain that makes this compact SUV one of the most fuel-efficient sport utility vehicles money can buy. Redesigned in every possible way, the 2019 Toyota RAV4 Hybrid is more fuel-efficient than the previous RAV4 Hybrid as well, and it is more spacious as well. And with a starting price of just $32,090, the new RAV4 Hybrid is just $1,400 more than a similarly equipped RAV4 with the base four-cylinder engine. What more can we ask for? Maybe more power. If that’s what we want, the RAV4 Hybrid will certainly oblige. Pairing a new 2.5-liter four-cylinder engine with an Atkinson Cycle and an electric motor, the electrified RAV4 hybrid sends 219 horsepower to all four wheels, 16 more than the regular RAV4. It also has more power than just about any other compact SUV. That’s not bad considering the 2019 Toyota RAV4 Hybrid has an average fuel economy rating of just 5.8 liters per 100 kilometers in the city and 6.3 liters per 100 kilometers on the highway, a significant improvement over the previous RAV4 Hybrid’s 7.3 liters per 100 kilometers average. Thanks to its impressive fuel economy rating and competitive price, the RAV4 Hybrid’s price difference will be made up by its owner in just 2.2 years according to Toyota. 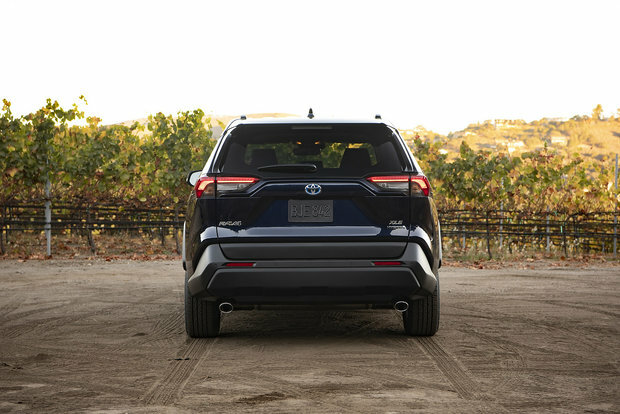 Comfortable, spacious (the hybrid version has the same cargo capacity as the regular RAV4) and very well equipped, the new RAV4 hybrid gets a ton of active safety features and connectivity technology. Standard equipment includes a 7” Display Audio system enhanced with Entune 3.0 Audio including Entune App Suite Connect and Scout GPS, Apple CarPlay and Toyota Safety Sense 2.0, the latest suite of active safety technology from Toyota. The latter includes adaptive cruise control, automatic braking with pedestrian detection, attention alert, automatic headlights and lane departure warning with automatic steering. The new RAV4 Hybrid also protects you and your family with 8 airbags. Combine this with the compact SUV’s AWD-I all-wheel drive system, and you have a remarkable sport utility vehicle. New and improved, this system ensures perfect grip in any situation thanks to a torque distribution of up to 30 percent for the rear wheels. 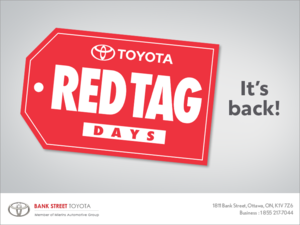 To learn more about the 2019 Toyota RAV4 Hybrid, contact us today at Bank Street Toyota.